Lifestyle brands must, necessarily, run marketing campaigns on two fronts. Since these brands sell an experience, they compete not only with direct, industry rivals, but also with unrelated brands that sell alternative experiences to consumers. Good staffing is the key to marketing your lifestyle brand across industries. In the United States, a joint study by professors at the Kellogg School and Emory University found that social media, experiential marketing, and mass customization give consumers more opportunity to express themselves than ever before. By selling their products as experiences, however, lifestyle brands from different industries find themselves, strangely, at odds with one another. The study found that the advertising campaigns of a popular lifestyle brand in the United States – like Gillette, Abercrombie & Fitch, Harley-Davidson, Starbucks, Apple, or Facebook – directly affects consumers’ opinions of the other brands. This is despite the fact that these lifestyle brands sell completely different products. In experiential marketing, inter-industry competition, both in the streets and at promotional events, is clear. Your campaign, and your staff, must compete with each participating brand, regardless of industry, for the attention of passersby and event goers. Event staff for lifestyle brands must captivate consumers not only by successfully demonstrating the product the brand sells, but also by demonstrating how the experience the brand sells is better than other, seemingly unrelated brand’s experiences. Experiential marketing campaigns, run by professional and brand-appropriate staff, are key to successfully promoting a lifestyle brand. Competence with your product, professionalism, and good grooming are the basic tenants of event staffing, but lifestyle brands add a layer of complexity on top of that. Good event staffers are actually brand ambassadors that embody the ideal lifestyle your product represents. At a product launch, event, or promotion, brand ambassadors represent your brand’s appearance, demeanor, values and ethics to potential customers. Successful brand ambassadors embody a positive image of your brand, consistent with the strengths of your company and product. In the early days of big brand endorsement, the ideal brand ambassador was always a well-known celebrity that unabashedly adhered to the hegemonic values of mass culture such as physical beauty (unfortunately aligned with thinness and whiteness) and financial or career success. Today, there is no objectively ideal brand ambassador. As the Kellogg School and Emory University study found, social media, experiential marketing, and mass customization give consumers more opportunity to express themselves than ever before. And not all consumers are using this freedom of expression to express themselves in line with the values that celebrity brand ambassadors traditionally represent. Staff your lifestyle brand, then, with energetic, personable, and interesting brand ambassadors, rather than the conventional two-dimensional celebrity type. Experience is all about adding dimension to your product, so choose real people who authentically embody the experience your brand sells. With lifestyle branding, the product itself is almost irrelevant to the marketing strategy (brands are, after all, competing for customers across multiple industries). A staff made up of living, breathing people who are authentic role models for your lifestyle is, then, your campaign’s greatest asset for both intra-industry and inter-industry competition. The numbers show that experiential marketing works. The 2015 EventTrack survey, an annual survey conducted by the Event Marketing Institute, found that 98% of consumers are more likely to purchase a product after attending a promotional event. Four out of five brands, too, say promotional events increase brand awareness and sales. The rise of digital media has left conventional media channels fragmented. Advertising on these platforms has become less effective due to the widespread use of video on demand, paid streaming, pirating, and ad blockers among the tech savvy. 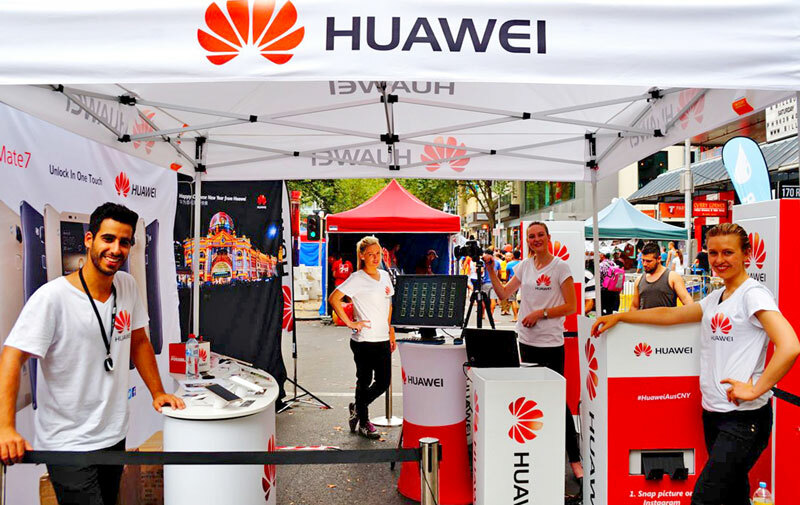 Brands can still, however, reach potential customers with experiential marketing campaigns. Experiential marketing succeeds where print and digital marketing fail because experiential marketing is a two-way dialogue. Potential customers can (rightly so) ignore whatever advertisements they want to. Experiential marketing is effective because it’s engaging. It’s something people don’t want to ignore. The EventTrack survey found that 81% of consumers are motivated to participate in an experiential campaign by free samples or giveaways. Nearly one in two consumers participate in an experiential campaign because they are interested in the product, they like the brand, and the event looks interesting. Carrots like free giveaways or discounts are the most effective ways to initially engage passersby or event goers. Charismatic and interesting staff sustain that engagement and, ultimately, make the human connection that leaves the consumer with a positive impression of the experience and, therefore, the brand and product. After an event, 74% of experience participants say they have a more favorable opinion of the company, brand, product, or service being promoted. This number is higher than the percentage of people who would try a product sample by themselves and like it, simply because the humans giving out samples and talking with potential consumers are themselves likeable. Most brands agree that experiential campaigns raise brand awareness, help consumers understand products, build consumer relationships and involvement, and generate leads and sales. Focusing in on one or more of these objectives before an event will streamline your experiential marketing strategy. Different consumers react differently to each experiential objective. Men, for example, are more likely to purchase a product on site during an experiential campaign than women are. Adults ages 25 to 35 are also more likely than other groups to purchase a product at an event. Of course, making sales directly need not be the goal of your campaign. Nearly 9 in 10 experience participants go on to purchase the product being promoted at a later date. Seventy percent become regular customers, even if they don’t purchase the product at the event itself. Numbers are essential. Depending on your campaign objectives, there are many ways to measure your success. Exit surveys or social media analytics can provide data about the number of event impressions and the quality of those impressions. On site questionnaires can capture valuable information about the demographics and thought process of experience participants. Integrated marketing strategies that link experiential campaigns with social media campaigns, for example, can funnel experience participants into other marketing programs. This allows the brand and customer to keep contact and makes the success of experiential campaigns easy to quantify.